Rail union RMT has confirmed that a further two days of strike action on Arriva Rail North will go ahead on Friday 1st September and Monday 4th September as the company continues to resist all efforts to make progress in the long-running dispute over rail safety and the head-long dash towards Driver Only Operation. The union said it was angry and frustrated that the company has blocked any chance of making progress in talks with General Secretary Mick Cash this morning. The company have made it clear again that they are not prepared to discuss the core issue of the second safety-critical person on their trains and will only meet to discuss the terms of the RMT’s surrender on the fundamental issue of Driver Only Operation. A stance that the union has slammed as a total disgrace. As well as digging their heels in on the crucial issue of the guarantee of a second safety critical member of staff on their trains the company continue to plough on with plans to introduce a minimum of 50% driver controlled operation across the franchise upon the introduction of the new rolling stock without agreement and in the teeth of opposition from the public, politicians and their own staff. 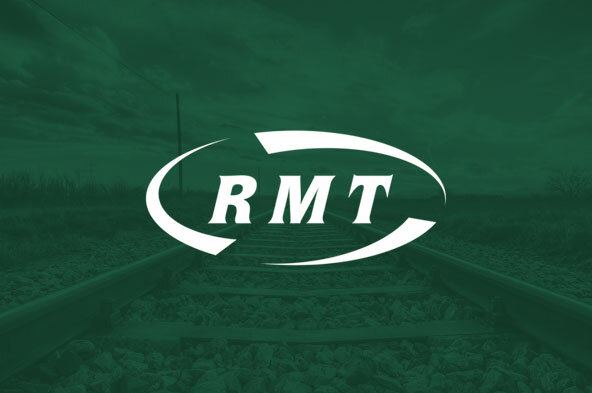 Political support continues to grow for RMT’s campaign against the dangerous, cash-led DOO proposals and it has been a significant issue throughout the general election campaign. “Yet again this morning we have been confronted with the sheer intransigence of Arriva Rail North and that means that we have no option but to confirm a further round of strike action . The responsibility for the inevitable disruption lies wholly with the company. We are angry and frustrated that Arriva continue to fail to face up to the facts and also continue to ignore a perfectly reasonable union proposal to invite the DfT to join us in round table talks aimed at finding a solution. “RMT commends our Arriva Rail North Members on their rock solid display of strength, resolve and unity during the action so far in opposition to the introduction of driver controlled operation and defence of the guards to guarantee a safer, securer and more accessible railway for all. We have no doubt that they our members will remain united and determined as we prepare for the next phase of action in a fortnight.